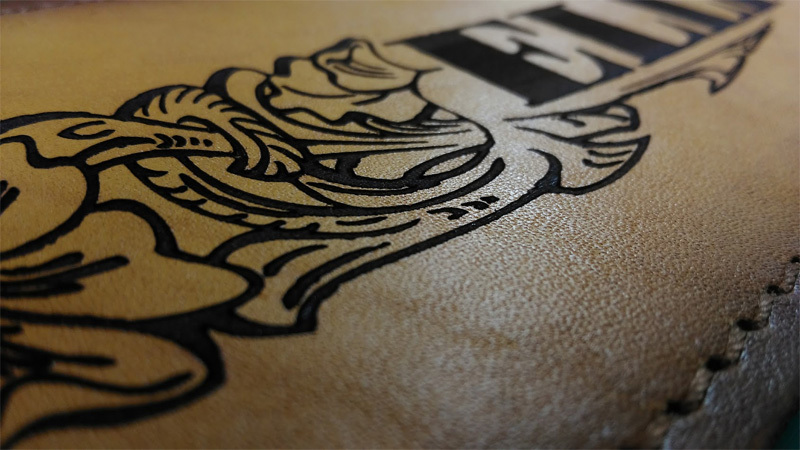 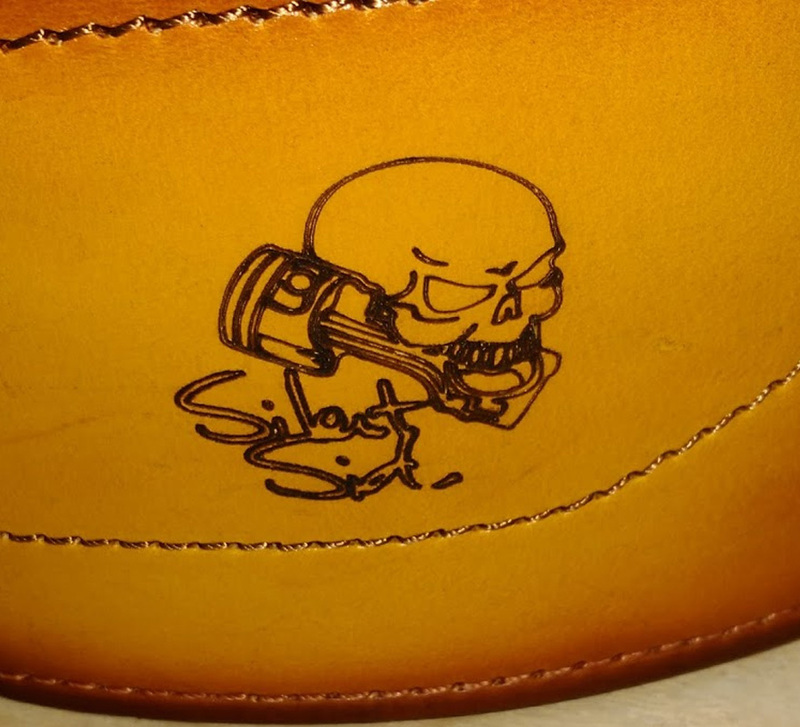 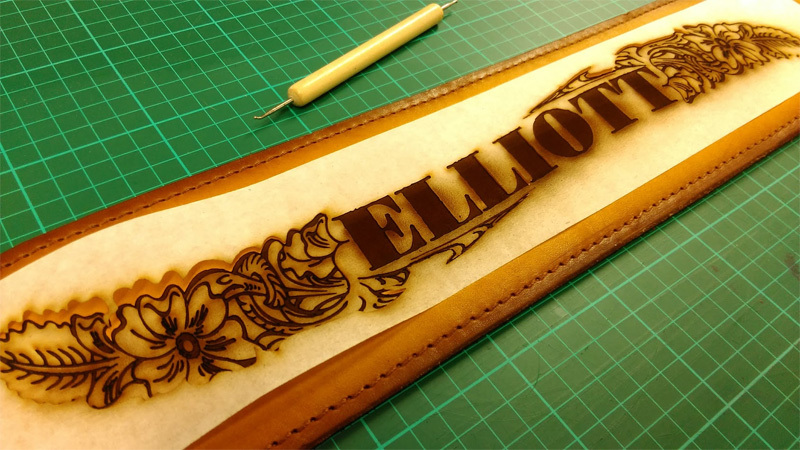 The design was signed off by the customer and it was off to the workshop to setup the laser machine and prep the leather for engraving. 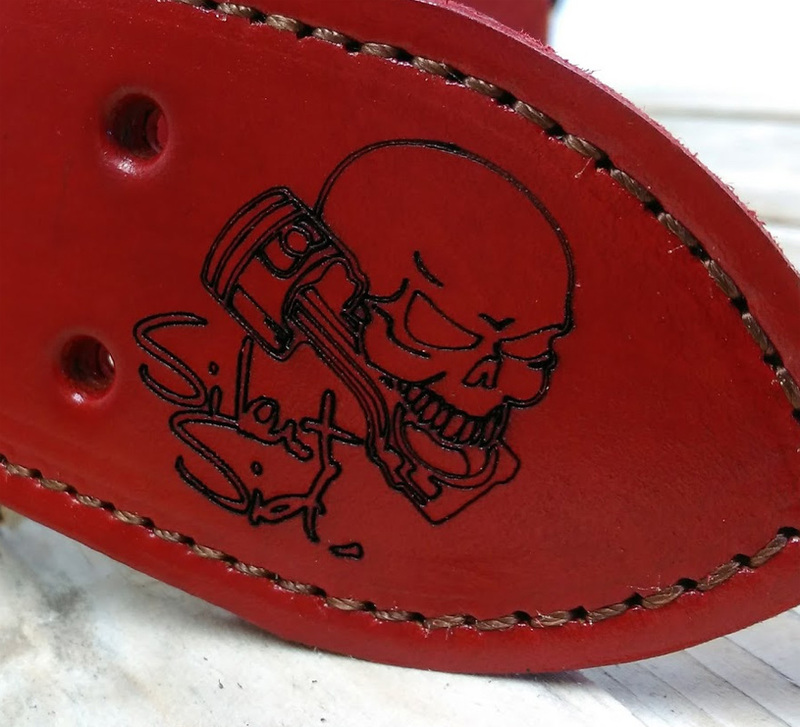 This is going to sound obvious but when dreaming up designs for your pieces then remember the laser will turn everything DARKER (it BURNS whatever it touches), We do repeatedly get asked if we can laser engrave a dark coloured belt with a message in say, white, or light grey...sorry, no can do I'm affraid. 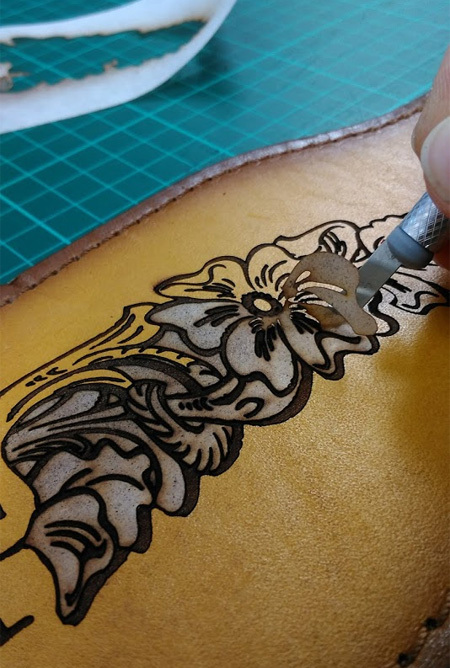 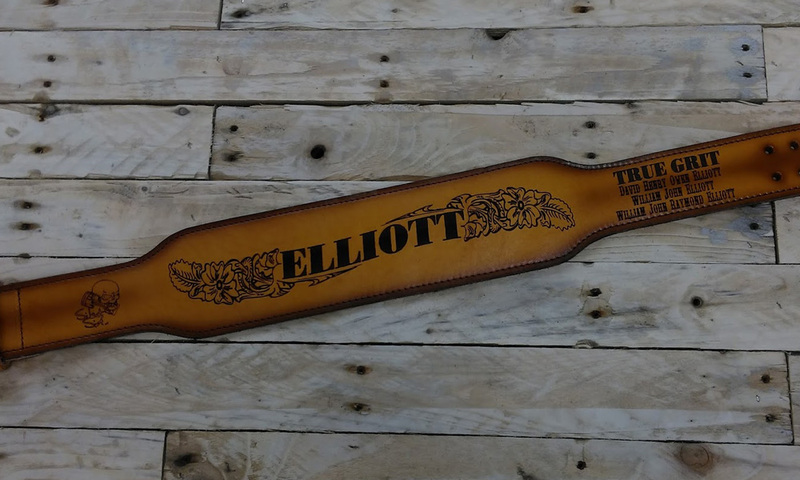 If you're having a belt made and fancy a clever design of your choice on the product then the lighter the leather is dyed, the more the laser work will stand out.